hat! However, there are some point we should pay attention before going outside and enjoy the sun. What happens to our skin when we get to much sunlight? Sunlight is a combination of 3 types of rays – infrared, visible lights and ultraviolet. Usually the ozone layer absorbs most of toxic lights. 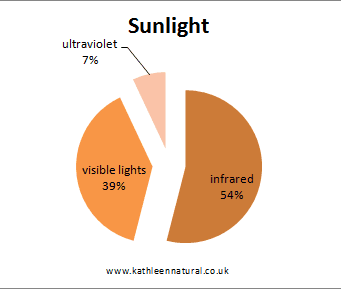 However ultraviolet A (UVA) and ultraviolet B (UVB) penetrate through cloud and glass, deep into our skin, causing skin cell damage and premature aging. While the UVB penetrates into the outer layer of the skin epidermis damaging the cells and causing the skin to be inflamed or sunburnt, the UVA penetrates more deeply into the second layer of skin dermis causing direct damage to supporting tissues leading to ageing effects. Both types of rays are attributed to causing different skin cancers. How should we read labels? SPF stands for “sun protection factor” which represents the length of time you can stay in the sun protecting from UVB. SPF 15 means a person who normally (without sunscreen) would turn red after 10 minutes of sun exposure would take 150 minutes (10 x 15) to turn red. However, this does not mean you can stay in the sun for 150 minutes. Red is the main symptom that our skin cells have been damaged. 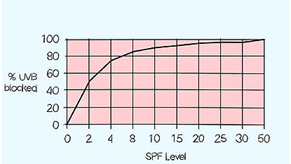 SPF rating system applies to UVB rays only. We need protecting from UVA also which causes of skin premature aging. In the revised EU guidelines for sunscreens products, this should be a UVA seal which requires providing consumers with a minimum level of UVA protection in relation to at least 1/3 of the SPF. In US, FDA requires the phrase “BROAD SPECTRUM” which will provide protection from both UVA and UVB. Therefore, we are not looking for a SPF product only and also the UVA seal or the phrase “BROAD SPECTRUM”. Is SPF 30 better than SPF 15? SPF 15 will filter out about 93% of UVB rays and SPF 30 filters out about 97%. European manufacturers most of the time recommend SPF 50+, which gives you almost 98% protection compared to the other ones. Sunscreen is mainly composed by UV-filters. These work in one of two ways: (1) absorbing the UV-light by ‘soaking it up’ like thousands of tiny sponge soaks up water or (2) reflecting the UV-light away from the skin like thousands of tiny mirrors. Absorbing filters, also called chemical or organic filters, soak up UV-light then converting it into lower energy and safer infrared light. Reflecting filters, also called mineral or inorganic filters, are commonly used together with absorbing filters to get more efficient results. Different UV-filters tend to be effective against different wavelengths of UV-light, therefore most sunscreens products include several different UV-filters to provide a broad spectrum of protection, high SPF value and UVA seals. Never expose to sunlight longer than necessary. Try to stay out of the sun between the hours of 10am to 4pm. The longer we are outside, the longer our skin suffered from UV-lights. No matter how – do not let SPF, UVA, hat – fool us into thinking we can stay out in the sun longer. Staying under shade, such as a tree or umbrella, can reduce our sunlight exposure, but not completely. Only very broad and thick shade such as thickly wooded areas and widely overhanging structures provide enough protection explained by British Association of Dermatologists. We can select dark-coloured, synthetic fabrics, close weave and dry clothing (fabrics get wet, their protection can be halved). Please remember to check your sunglasses with ‘real’ sun protection. Remember that the UV-protective chemical on sunglasses is invisible, so the colour of the lens not an indication of protecting. Label must clearly state the following labelling. Hats are great for protecting our face, ears, eyes and head and back of the neck. So choose a wide-brimmed hat for most protection. Baseball caps are not a good choice. Nice thick layer sunscreen can sit on our face and protect from UV-lights. National Institute for Health and Care recommends a minimum of SPF 15 and UVA seals in the UK. And don’t forget our lips. 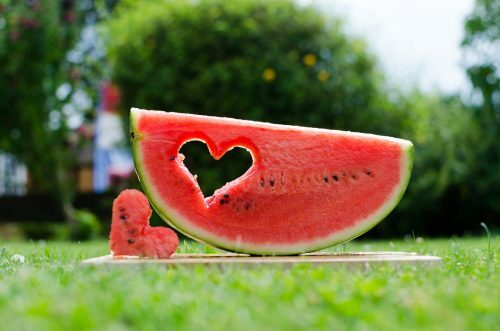 during summer and also feeds you with nutritious goods. 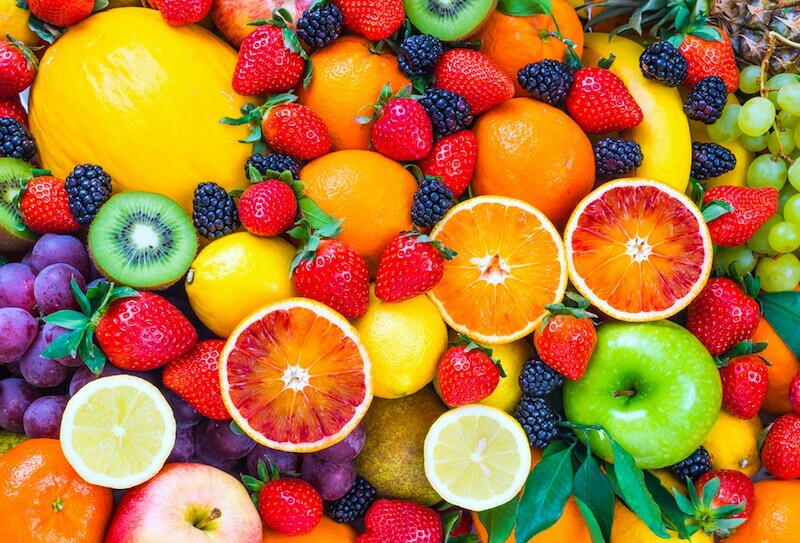 If you like this post, you may also like Silk Amino Acid is a super-ingredient, Unlock the Secret of Coenzyme Q10, Sweets accelerate skin aging, and Roughness, Irritation, Fine lines, Tightness, Flaking.